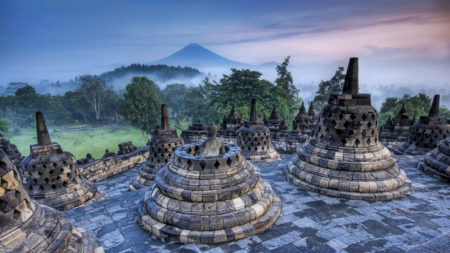 Indonesia is the largest island country in the world and the fourth most populous country with over 255 million people. Don’t let that put you off though – many of the islands are uninhabited and outside the capital cities you can find beautiful non-spoilt countryside. 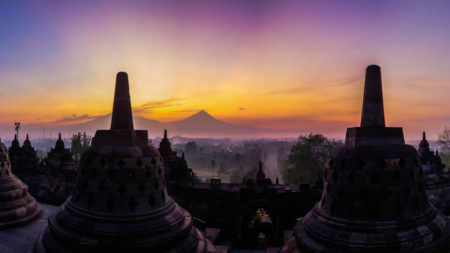 Aside from Bali, many people are generally not familiar with the rest of Indonesia. 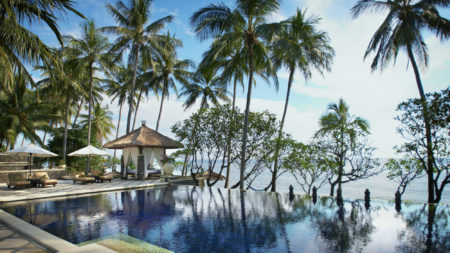 Java in particular, has many fascinating places to discover with some great accommodation too. The scope for touring here is enormous. The local languages consist of Indonesian and Balinese and English is a popular third language, mainly due to Bali’s busy tourist industry. Hinduism is common to the island and this is reflected in the many temples that Bali plays host to. Excellent regional food: not to be missed and is packed with flavour. Popular dishes are often made from chicken, pork and vegetables. Food is never hard to come by with popular night markets and cooking schools for you to try and create your own masterpiece. Touching down in Denpasar from many worldwide destinations is a great place to begin private tours of Bali. This was once a small village and is now a lively city. 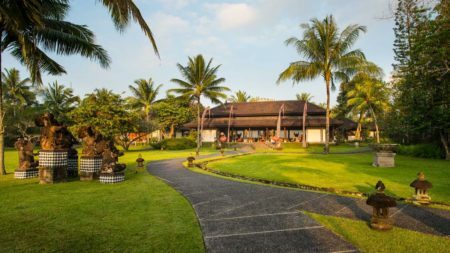 Bali Museum is right in the centre of the city and is worth a visit to explore its tidy gardens and attractive artefacts. Start your taste for the temples by visiting Pura Masopahit dating back to the 15th century. For art lovers, Taman Werdi Budaya Art Centre is exciting building offering a walk around three art galleries and an auditorium. 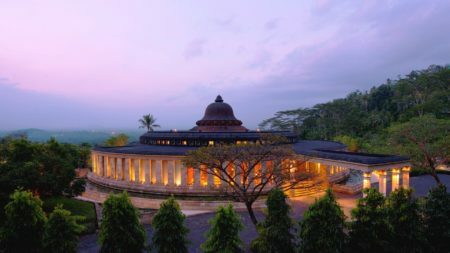 Further north of Bali’s centre is Bedugul. This is a mountainous area which hosts the beautiful magnificent Ulun Danu Temple which sits on Lake Beratan. From the temple look across the lake and breathe in the fresh mountain air. Enjoy the journey across the lake or if you are feeling more adventurous, rent a canoe or boat and enjoy the calm waters. Whilst in the area, a visit to The Bedugul Botanical Garden is recommended. Opened in 1959 and with over 1,187 plants and beautiful flowers it makes an enjoyable day out. 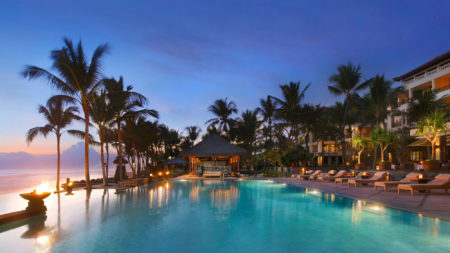 Seminyak is located about 45 minutes by road from Bali airport. It shows how Kuta used to be before it became a busy tourist spot. It is still a fairly quiet area and offers excellent mountain views and beautiful coastlines. 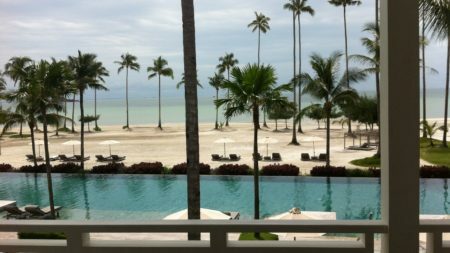 This area is filled with prestigious hotels, luxury spas and beautiful beaches with excellent surf. During your tour of Bali, it is well worth a trip to explore the fine food and craft markets that the country has to offer. Ubud is a town located in central Bali. Quieter than the bustling area of Depensar, it is home to art and craft and has a spiritual feeling about it. Elegant boutiques fill the streets providing a refined experience. Green rice fields are common in this area and can be easily accessed by bike. Winding trails are great for afternoon walks to absorb the natural scenery. Many temples reside near Ubud. Pura Penataran Asih in nearby Pejeng has the world’s largest kettle drum dating back to 300BC, known as The Moon of Pejeng. No tour of Bali is complete without a visit to the most sacred temple on Mt Agung, known as Pura Besakih. Located in the Badung regency in the Sangeh countryside, 20km north of Depensar. Enjoy the wild species of birds, monkeys, reptiles and amphibians. At the north end of Bali island is the Pura Sakenan Temple. Founded in the 15th century this temple is home to a rare stepped stone tower. Time it right and witness the anniversary festival, held at Kuningan. 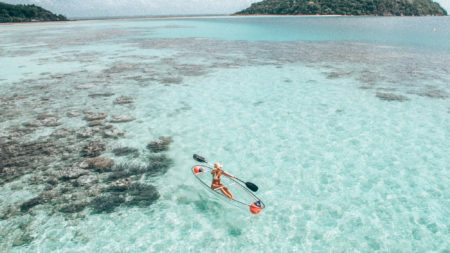 If travelling by land is not for you, why not step on board on The Sea Trek sailing adventures and travel round Indonesia on 10-12 day cruises and breathe in the Indian Ocean? Direct Flights from across the UK to Jakarta. For Bali fly via Singapore (13 hours) then onwards to Bali Denpasar (2 hours 40 minutes).